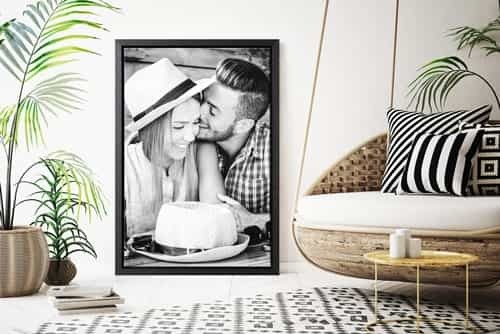 Our floating frames really make your canvas print a piece of art! 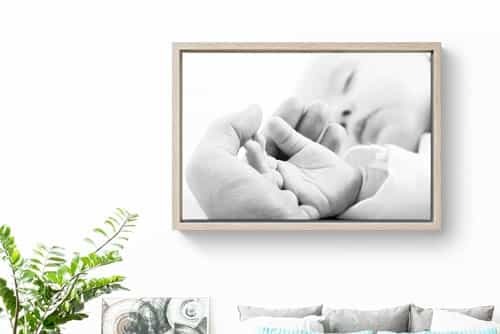 The canvas print is mounted onto the floating frame in the back. 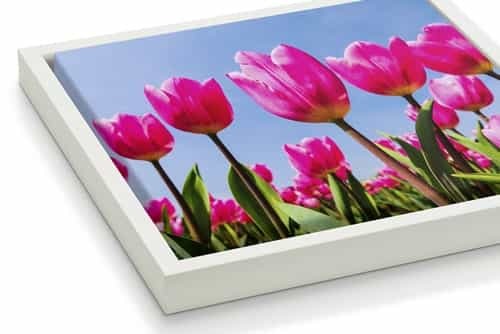 This gap of about 1 cm creates the floating effect and literally makes your canvas print stand out even more! The 3 cm thick frames are made of sustainable wood and synthetic material and come in 3 colours: black, white and bare wood. 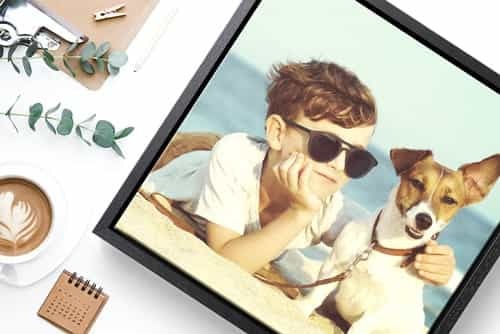 Our floating frames can only be ordered with our standard canvas sizes. 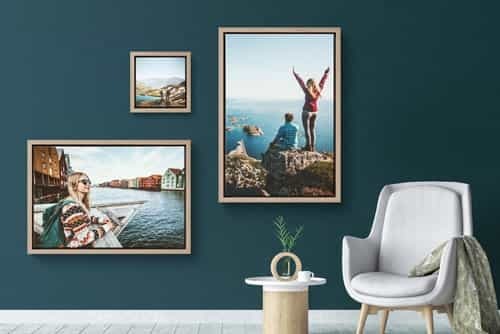 The prices from this list are an additional cost, because we add these frames to your canvas print. Besides our standard sizes we can make any size you want. You can manually enter your desired size. Our system automatically cal­cu­la­tes the price for you when you click on the button. The maximum size we can make is 90 x 140 cm, and the minimum is 20 x 20 cm.